We are listed with the State of Michigan as a certified training facility. 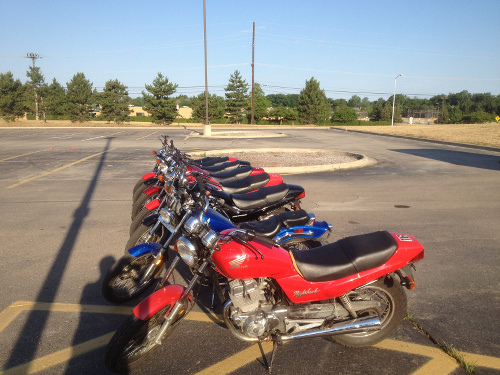 More information on motorcycle training and laws can be referenced from the state's website. All classes at the Stoney Creek High School location must be registered for through the Rochester Community Schools Enrichment Office. Please note that you must be registered three (3) days prior to the class start date or additional fees will be applied. You can see the schedule and get their information from the current catalog that can be obtained from their website or visit the schedule page. For more information about our locations, schedule, and courses please call us at (248) 726-3165, (586) 627-4147 or email us at advancecyclellc@gmail.com. We will be happy to answer any questions you may have. Our primary concern is your comfort and safety on a motorcycle and that starts with information.